Broken Mobile,™ a progressive Northern Virginia Mobile Device Solutions Company, selected West Virginia's easternmost county, just 60 miles from Washington D.C., for its new headquarters, citing the low cost of doing business and proximity to clients in Washington D.C. as key factors. Until Broken Mobile™, no options were available for corporate organizations, government agencies/contractors or educational institutions to comprehensively protect their mobile device assets. Broken Mobile™, a mobile device solutions company founded in Manassas, Virginia, in 2012, has relocated its headquarters to Jefferson County, West Virginia, located just 60 miles from Washington, D.C. The company will bring jobs to the area, many through a distinctive U.S. military veterans training program, in a rapidly advancing telecommunications field. Broken Mobile™ has found that many of the nation’s mobile devices, including corporations’ ‘fleets’ of thousands of employee cellular phones with proprietary company data, are sent overseas to countries like China for repair. Petersen has concerns that if devices, such as secure government cellular phones, are kept in the United States they are often repaired by under-trained technicians and high-security data is left vulnerable. Broken Mobile™ has created its own technician certification program, required for all new hires, and open to potential employees. Additionally, Broken Mobile™ has pioneered a unique program to train U.S. military veterans in mobile device repair which prepares them for careers in the field. Once veterans complete the certification program, they will be eligible for employment with Broken Mobile.™ In collaboration with government entities, numerous independent veteran organizations and universities, Broken Mobile™ will provide this program on site at the new Broken Mobile™ office and campus in Burr Plaza. More information on the veterans training program can be found on the Broken Mobile™ website, http://broken-mobile.com/break-fix/. By employing those who currently have, or have held, security clearances, such as veterans, coupled with the rigorous training program, Broken Mobile™ can offer significant alternative to risky practices. These advantages will allow Broken Mobile™ to obtain contracts from high-security agencies. 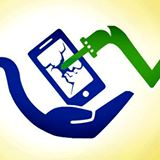 By offering customers no deductibles, credit for unused services, pooled coverage plans and customized protection packages, Broken Mobile™ wants to change the way the nation looks at repairing mobile devices and protection services through its services. Burr Plaza, which began construction off Route 9 in Kearneysville in 2003, offers the state-of-the-art facilities, security and flex space that Petersen requires. The only shopping/business complex in the Eastern Panhandle with its property management office on site, Burr Plaza also maintains a help desk that is manned 24/7, 365 days of the year. Petersen was impressed by the Burr Plaza staff and their commitment to the success of the complex’s tenants and their willingness to assist with marketing and business development. Petersen was also attracted to the campus-like feel of the plaza and the amenities it would offer Broken Mobile’s™ employees, including child care, restaurants, service providers and retail establishments, all of which and more Broken Mobile™ will utilize in its employee benefits package. Broken Mobile™ will hold a job fair at the same location in the next few weeks. Additional information will be announced through local media outlets and may be obtained by emailing hiring(at)broken-mobile(dot)com or calling 571-208-0307 x103. With a strategic Mid-Atlantic location just 60 miles from Washington, D.C. and ready access to major transportation routes, Jefferson County is ideally situated for business, manufacturing and industry. As one of the fastest growing counties in West Virginia, Jefferson County is a major economic driver in a state that boasts the nation’s fourth lowest cost of doing business, low utility rates and a highly skilled and loyal workforce. While facilitating relocations and start-ups with tax incentives, low-interest loans and fast-track permitting, the JCDA also aggressively supports and promotes existing businesses. More information: http://www.jcda.net, info(at)jcda(dot)net, 304-728-3255.